I just discovered Library Extension for Firefox and Chrome, and it really is remarkable. Once you add the extension in either of the those browsers, an icon appears in the toolbar. Click it on to select your available public library and some educational institution ones. If your library system offers it, it will also allow you to connect to Hoopla and OverDrive. Then, when you are looking for a book in places like Amazon, Barnes & Noble, Goodreads or Audible, Library Extension will automatically include information on its availability. It's not a perfect system. Depending on which edition or version of a book you select, you will get different results. And your public library probably doesn't carry that technical volume on an advanced biblical topic. And sometimes, you really want to just buy the book and have your own copy! In any case, this is a handy way to see if your local library has a book you can check out, and sometimes it is even available as an eBook or an audiobook. It's a great way to save some money! 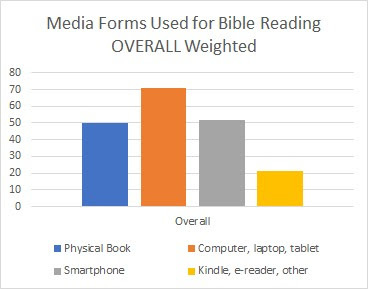 When BibleWorks announced they were closing up shop in June 2018, they noted that the program would, of course, continue to run as normal. They also indicated: "We will, Lord willing, continue to provide compatibility fixes for BibleWorks 10 well into the future." 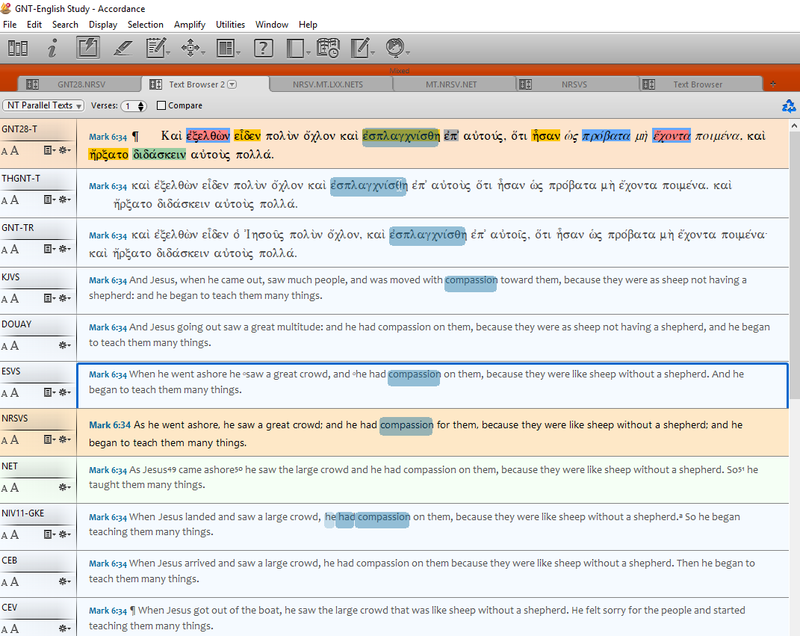 I still use BibleWorks regularly since it has so many resources I have not purchased in either Accordance or Logos. True to their word, I still was pleasantly surprised to see that they recently released a Windows 10 Compatibility Update: 10.0.8.710. I haven't had any issues running BibleWorks in Win10, but if you still have the program, it probably is worth it to start it and update. 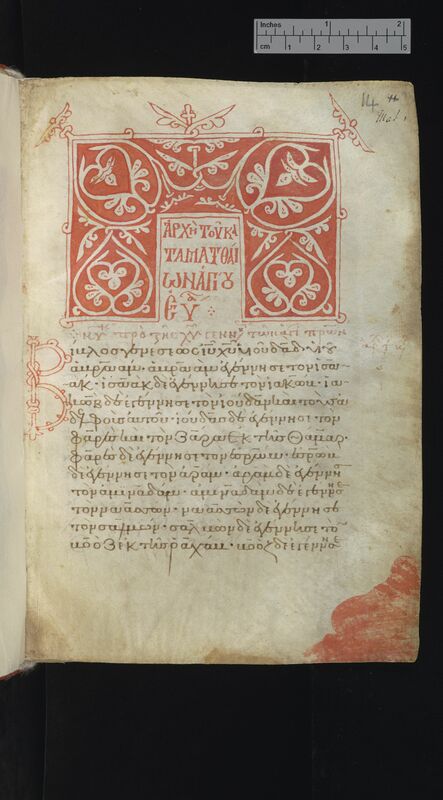 A Greek New Testament manuscript dated to 1297 from the collection of Cambridge University Library. In a major collaboration announced today (March 28, 2019), Cambridge University Library, 12 Cambridge colleges, the Fitzwilliam Museum, Heidelberg University Library and the Vatican Library have come together as part of a two-year £1.6m project, funded by the Polonsky Foundation, to digitise more than 800 medieval manuscripts... Hundreds of medieval and early modern Greek manuscripts – including classical texts and some of the most important treatises on religion, mathematics, history, drama and philosophy – are to be digitised and made available to anyone with access to the internet. While the digitizing is a great asset, just as important is the cataloging and conservation that will be accomplished in this project. You can see what's available now on the Cambridge Digital Library and the Heidelberg Digital Library. By following the links below, I provide examples of each one's capabilities and provide some commentary. 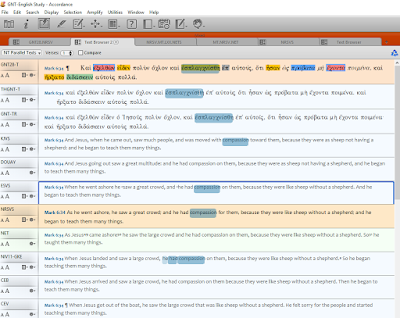 Also note that there is a NETBible Web Service (API) you can use to create links to Bible texts without using the automatic reference tagging. As you can see, each has some benefits. 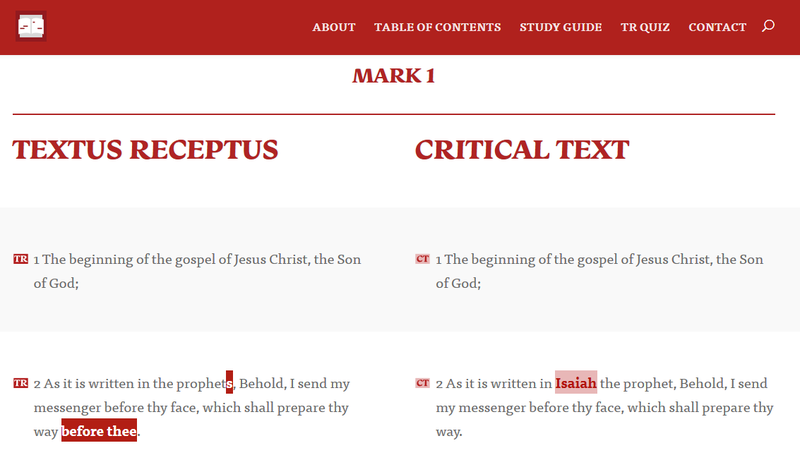 Since I have a good Logos library, linking to Biblia online provides me access to all my resources. If you want access to non-English language, BibleGateway is the only choice. 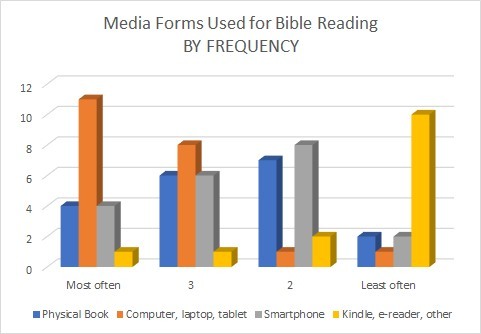 For most of my purposes, sharing Bible references on a blog like this or online articles I write, I will most often use the NETBible Tagger with BibleGateway as a second choice. 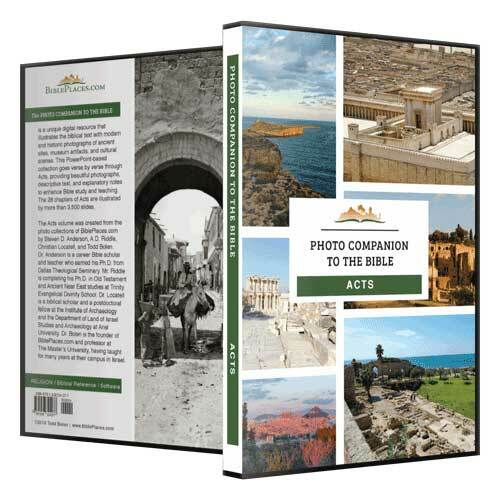 The Photo Companion to the Bible is an image-rich resource for Bible students, teachers, and researchers. Just as a librarian stocks the shelves with as many relevant materials as possible, so we have tried to provide a broad selection of images. Our goal is that you will find in this “library” whatever it is you are looking for. The volume is organized into 28 PowerPoints, one for each chapter of Acts. 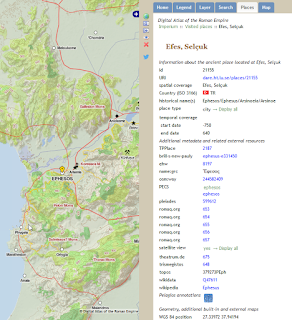 This makes it convenient to search for images connected to a chapter in Acts. 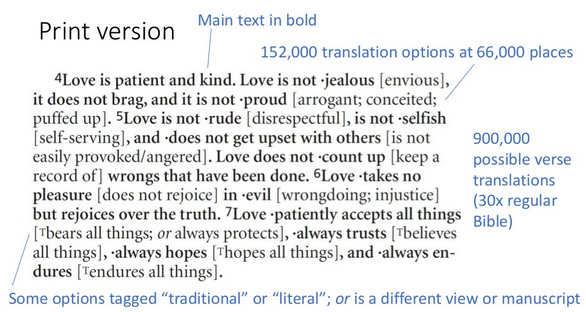 Further, each of the images in the PowerPoint is labeled with a verse number and order sequentially. 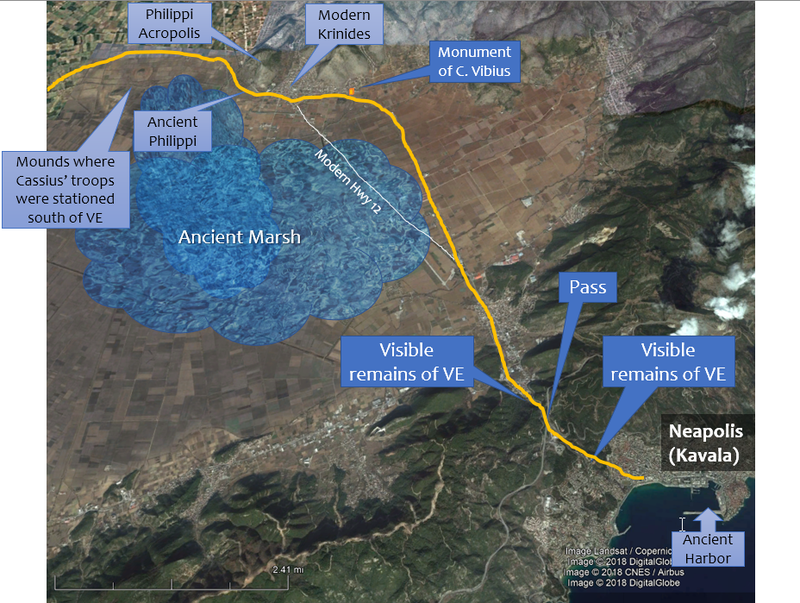 There is a variety of images included: photographs of sites, artifacts, historic photographs, aerial views, and maps. Where it would be helpful, some photographs are duplicated and include an overlay labeling notable features. 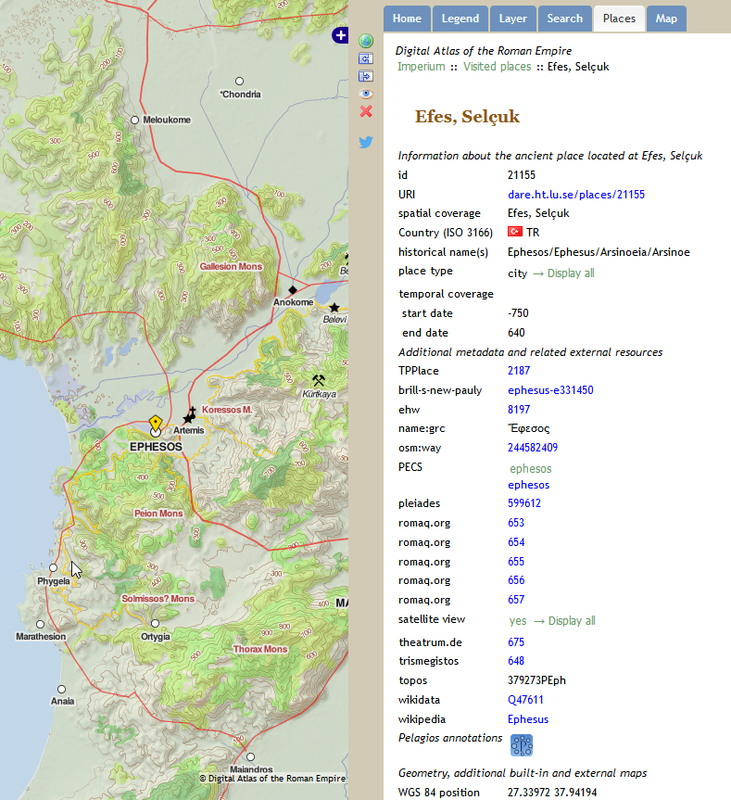 (Many images come from BiblePlaces’ Pictorial Library of Bible Lands.) 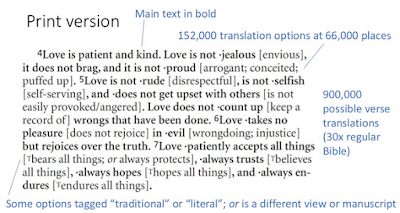 Each slide includes the portion of the verse to which it relates, the chapter:verse reference, and a descriptive caption. In the comments section of the PowerPoint, additional information is provided. 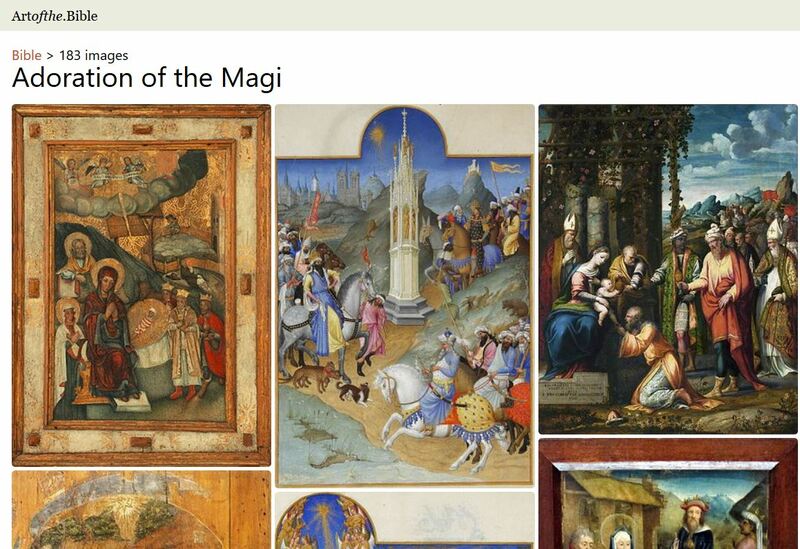 There are over 4000 images in the Acts collection, and the 28 PowerPoints take up about 1.6GB of storage. There are between 65 and 250 slides for each chapter. The maps provided by A.D. Riddle are very nice, and most of the pictures are of high quality. As for permissions, it states, “The purchaser is granted permission to use this work in face-to-face teaching, video-recorded sermons, class notes, church newsletters, and like contexts.” Any other use would require specific permission. 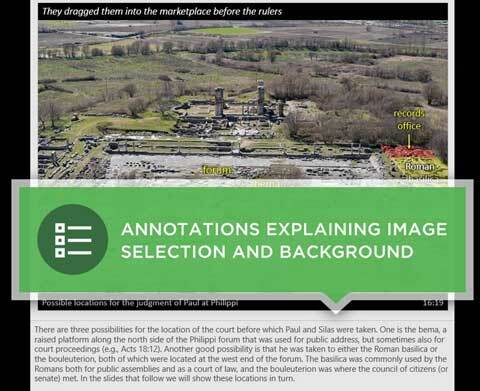 This resource will certainly be useful to anyone teaching or studying Acts and looking for visuals. Whether it is a location (e.g., Capernaum), topic (e.g., Baptism), or reference (e.g., “times or seasons”), there are multiple images that can be used. To have everything organized by specific Bible reference simply makes things much easier to access. 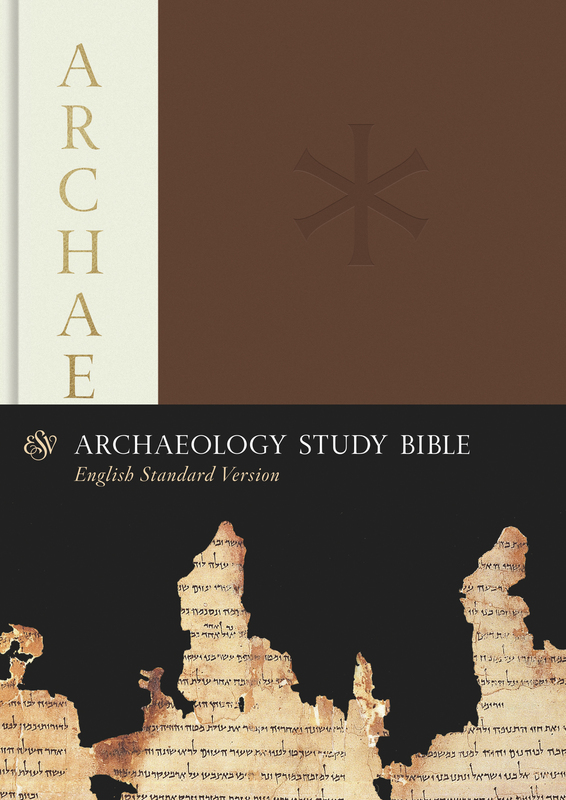 Some items are very loosely connected with the text, and there are a few identifications or comments with which I might quibble, but overall this is a fantastic and immensely helpful resource. The list price is $149, but the introductory sale price is $89 which includes free shipping in the US as well as immediate download. For a sample of what this outstanding collection is like, you can download for free the PowerPoint for Acts 18. Disclaimer: I provided a couple pictures of a memorial to Paul at Apollonia for which Bolen provided me this volume for free. The Newberry Library in Chicago has recently created a website (actually just a page with popups) that provides excellent visuals and descriptions of three of the great polyglot Bibles of the 16th and 17th centuries: the Complutensian (1517), Antwerp (1571), and London (1657). 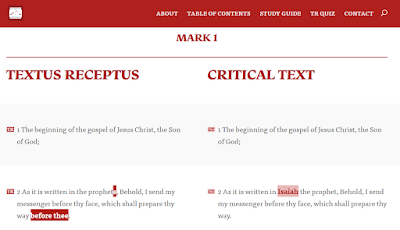 The goal of the site is not to provide access to the texts (you cannot look up passages) but to provide an overview of the layouts of the Bibles. 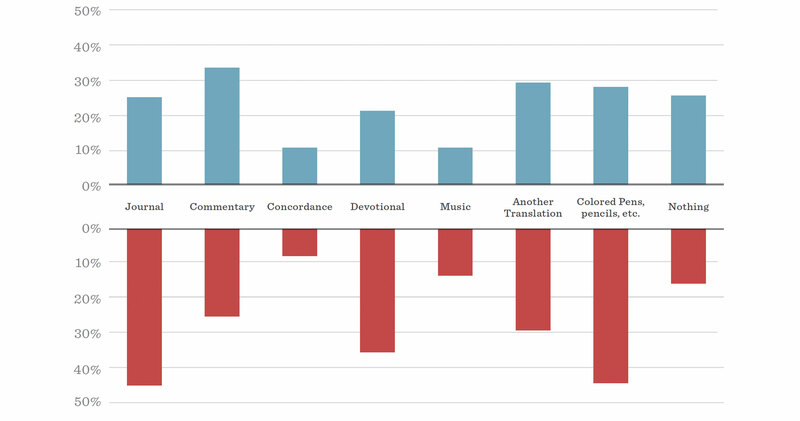 It explains not only what is in each section of a page spread but also why it was included. It's a great way to see what was going on with these "Cathedrals of Print." It reminds me of a few hours I spent back in the day when I was working on my dissertation on Psalm 22 and perused the 1645 Paris Polyglot in the Beinecke Rare Book Library at Yale. These Bibles were certainly magnificent publications, and the amount of work required to print them is staggering. We have so much in digital formats these days, and we can be thankful for the much broader access provided, but we can be grateful for the work that preceded it.